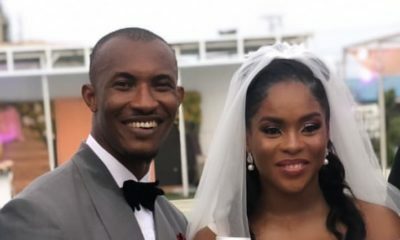 Nollywood actor Gideon Okeke on Sunday shared a story of how he was allegedly beaten by officers of the Nigeria Police Force. 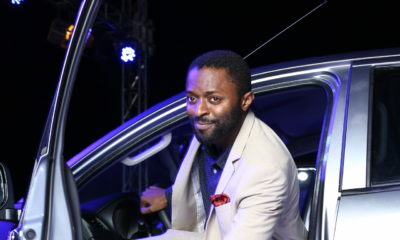 He ran into another vehicle at the Lekki Phase 1 roundabout, he shared, when the incident took place. He’d called for the assistance of some officers who were “less than 10 feet away,” he wrote on his Instagram, to get barricades off the road so they could park properly to inspect and sort out the damage. It was then the policemen attacked both him and the woman whose car he hit. The police’s Zonal Public Relations Officer, Dolapo Badmos, has however revealed that the Lagos Police Commissioner Edgal Imohimi has ordered an investigation into the case. I got the report of these incident by way of tagging!!! The attention of the police authority has been drawn to the video of alleged brutalization of Mr Gideon Okeke by some policemen along Maroko area of Lagos State! The commissioner of Police, Lagos state command CP Imohimi Edgal has ordered immediate and detailed investigation into the incident and has assured that justice will prevail. All hands on deck as we sympathize with the victim.